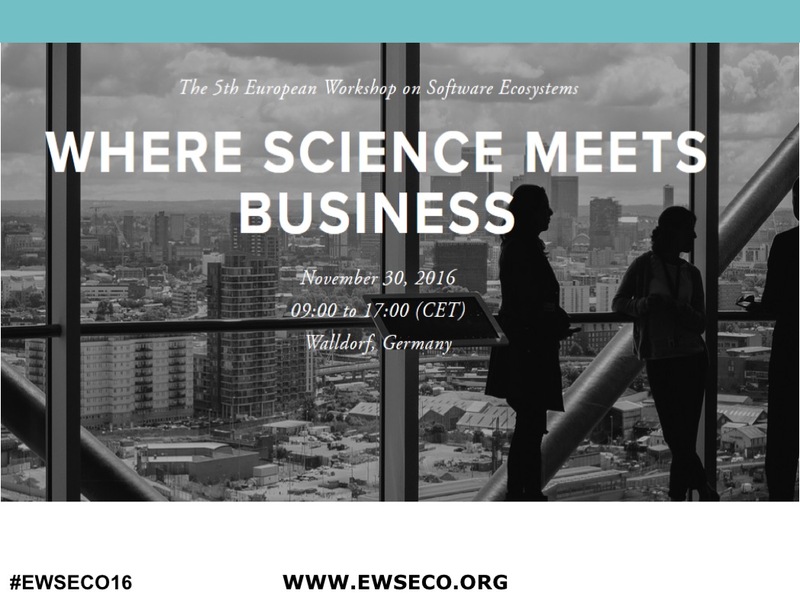 Proceedings of the fifth European Workshop on Software Ecosystems (EWSECO 2016) are available! 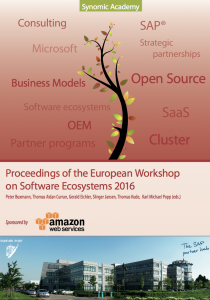 The research on software ecosystems proved to be advancing very well. The goal of this event was like in the previous 4 years, to bring together the research community from all over Europe and share, present and discuss their latest research with business experts from the software industry. Research on software ecosystems still is a young and emerging field. While many researchers are active in this field, vibrant research communities still have to be built. Huawei, Amazon Web Services, fluid Operations, German Management Consulting, IA4SP, Netfira, Partner-Port, Synomic and VersionEye. We are looking forward for the media partnership with „E3 Magazin“, the journal for the German speaking SAP Community.